DU Admissions - Do Students Have a Choice? A home is not just a shelter, it is a private oasis where after a long and tiring day at work people finally come back to spend some quality moments with their family members. However, it definitely feels like the cherry on the cake if that space is designed and organized beautifully- which in today's time the proficient interior designers are taking care of. It is the 21st century and even the population of a developing country like India, are showing immense interest in decorating their dream home and offices according to their preferences and that too with hiring an interior designer, after all only the experts will be able to provide them out of the world ideas. Interior designers are in high demand, they not only hold the responsibility to bring out the best design and think creatively, but they are also supposed to read the mind of their clients and execute the project in a most customized manner. Earlier while the interior designing profession used to revolve around understanding the requirements of the customers and draw the blueprint on a piece of paper, today the profession has come a long way. The modern interior designers prefer to embrace the technology and create and present out-of-the-box ideas through using software like Autodesk AutoCAD, Autodesk 3Ds Max and many more. Along with a technical knack, interior designers are also expected to possess an exceptional understanding of building codes, legal restrictions, and health and safety concerns. However, to instill such lengthy list of skills, aspirant interior designers are required to obtain a degree in interior designing which not only meet their artistic thrust but also render them a prominent place in the designing world. 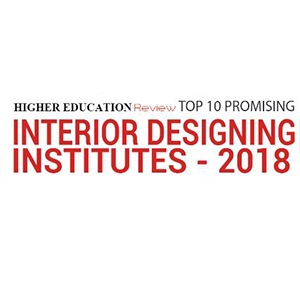 In an attempt to bring into notice the handful of the design schools, which are proving their excellence both in academics and practical realm, we at Higher Education Review have come up with a listing of ‘Top 10 Promising Interior Design Institutes - 2018'. Ensuring that students get to enroll in a quality program in the best institute, our expert panel and researchers have spent a significant amount of time in analyzing the factors like campus facility, placement opportunities, teaching quality, practical outcome and so on before compiling this list. We hope this effort will enable you to choose the right path for blossoming from an amateur designer into a successful interior designer in the future. Academy of Applied Arts New Delhi, Delhi Recognised by NIESBUD an autonomous institute under 'Ministry of Skill Development And Entrepreneurship', Govt. of India, the academy is a leading single discipline institution for Interior Design and its specializations of Visual Merchandising, Retail Design and Luxury Residential Design. FIDA the Design School Chennai, Tamil Nadu Headed by S. Fareeda Khan, an experienced Interior designer and an educator of design, the institute is not only known for its strong education background, but also for the quality of exposure given to the students, which makes it one of its kinds. Ignite Institute of Creative Studies Bengaluru, Karnataka The institute aspires to provide state of the art facilities and a close student - facilitator interaction through high quality academic courses that are specially designed to provide in depth exposure to the field, while keeping in mind flexibility of timing. International School of Design New Delhi, Delhi Working under the under the guidance of prominent educationists and industry leaders, the institute offers best opportunities for our young designers to participate in the real world of Interior, Fashion, Jewellery & Textile design. IVS School of Design Noida, Delhi Set-up by industry professionals (URBANE-The Design Workshop) and specialized in Interior Architecture & Designing courses only, the institute trains the students to be the best creative minds, who are demanded and hired internationally. JD Institute of Fashion Technology Bengaluru, Karnataka One of the top academies of art and design with 36 centres across the county, the institute helps the students to take their imagination to the next level by giving them a platform not just to upskill their creativity, but also to prepare and give them the confidence to follow their dreams. Kalaprabodhini Institute of Design Kolhapur,Maharashtra Located in Kolhapur, which has created remarkable impressions in various forms of art with its rich historical and cultural heritage, the institute offers courses in the design profession, which will offer a through professional training to the students. Pune Institute of Applied Technology Pune, Maharashtra The institute works with a goal to provide excellent facilities for the professional and specialized training in Interior Design & Decoration, a contemporary, vibrant and interesting field that offers several dimensions and perspectives. 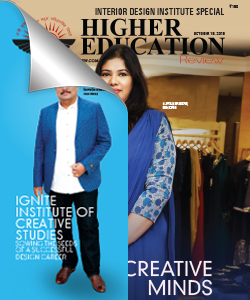 The Design Village Noida, Delhi One of the leading interdisciplinary, industry-centric design institutes in the country, the college thrives on it s network of promoters and supporters, offering its students a gamut of work opportunities and industry experience.